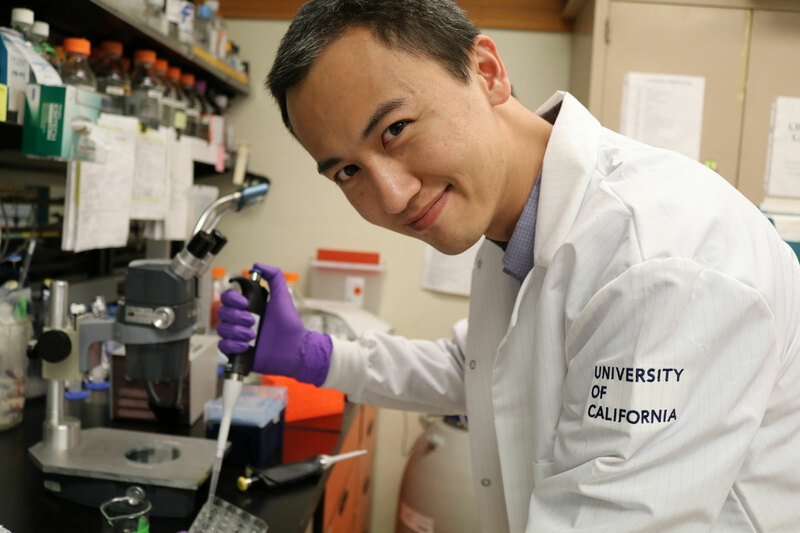 (UC Davis) – Dr. Glenn Yiu, MD PhD, Assistant Professor of Ophthalmology at UC Davis School of Medicine, is one of five recipients of the 2017-2018 CNPRC Pilot Research Program award. Doctor Yiu’s laboratory focuses on understanding age-related macular degeneration (AMD), which is the leading cause of vision loss in the elderly in the United States. For Dr. Yiu, the CNPRC’s Pilot Research Program award will provide him the opportunity to develop a nonhuman primate model of AMD. The CNPRC’s Pilot Research Program is a mechanism for principal investigators to generate preliminary data in support of new translational research grant submissions. It is targeted for investigators who have not previously conducted nonhuman primate research and particularly encourages junior faculty to apply The program serves as a resource to the entire biomedical research community, and encourages applications from local, regional and national institutions.